The processing of data on this website is carried out by the website operators, whose contact information can be found in section 2 below or on this website’s imprint. What type of personal data are collected? Access data (Server-log-file): IP-address, time stamp of access, queried resources, status, transmitted data volume and the duration of the transmission, referrer URL, name and version of the browser software; the server-log-file will be held for 90 days. The entry of data into the forms provided via the website is done voluntarily. In particular, the following data are collected: company/organization, form of address, title, first name, surname, address, contact details and other information/ documents, which you provide us to process your enquiry/message. The data are stored for the period required to fulfill their intended purpose. Legal retention periods shall remain unaffected. Access data – principally technical data (e.g. internet browser, operating system, time of web site visit) – are automatically collected by our IT system as soon as you visit our website. All other data are provided by the user when entering details into the online forms. Such data can include details provided in a contact form, in a newsletter registration form, or forms for the registration and usage of additional services offered. We use your data to process your inquiries. Some of the data are collected to ensure optimal provision of our website and other data are used to analyze user behavior. You have the right, at any time, to receive free-of-charge information regarding the source, recipients and purpose of your saved personal data. Further, you have the right to request the rectification, restricted processing (blocking) or deletion of your personal data. You may direct questions pertaining to these rights as well as any other data protection concerns to our data protection officer or to the customer service contact details provided in the imprint. Moreover, you have the right to object to the processing of your data as well as a right to lodge complaints with the data protection supervisory authorities responsible. People affected are entitled to these and other protection rights in accordance with Articles 15 – 22 of the General Data Protection Regulation (GDPR). You have the right to object to this analysis and we will inform you below about how you can exercise your rights to object. We hereby prohibit the use of the contact data in our imprint, data we are obliged to provide for an imprint, for the purpose of sending us any advertising or informational materials that we have not expressly requested. The operator of this site reserves the right to take legal action in the event of the unsolicited sending of advertisements, e.g. spam emails. Within the scope of current statutory data protection regulations, you have the right, at any time, to free-of-charge information regarding your saved personal data, its source, recipients and purpose of processing, and if need be, a right to request the rectification, restricted processing (blocking) or deletion of your personal data. You have the right to receive data, which we process by automated means based on your consent or the fulfillment of contractual obligations, in a structured, commonly used and machine-readable format. Further, you have the right to transmit those data to a third party. If you request the direct transmission of your data to another party, this will be carried out where technically feasible. Many data processing procedures are only permitted if you provide explicit consent. You may, at any time, withdraw consent you have already given by sending us an informal e-mail. The legality of data processed before your request to withdraw consent shall remain unaffected. the University Medical Center Freiburg and the partners agree upon contractual data protection clauses which have been adopted or approved by the European Commission or the competent supervisory authority. You can obtain a copy of these data protection clauses from the University Medical Center Freiburg. However, sometimes your data might also need to be passed to partners in third countries who have not fulfilled either of these conditions. These countries potentially have a lower level of data protection than the EU. 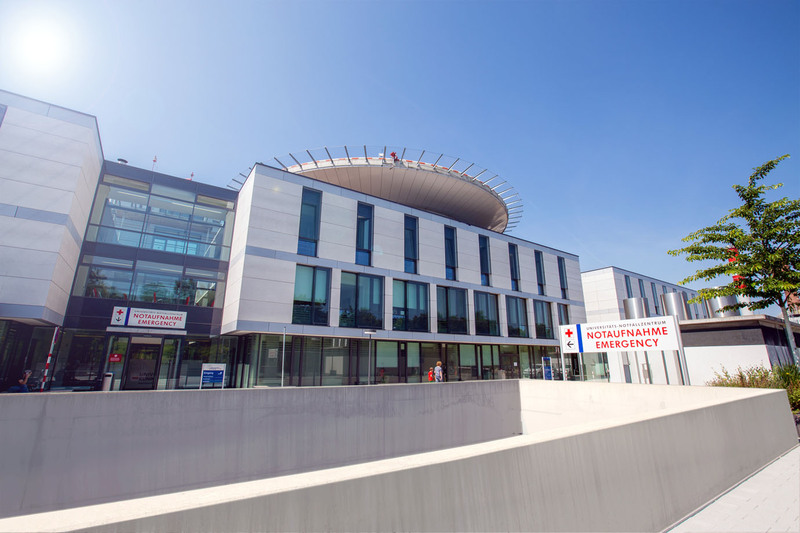 The University Medical Center Freiburg guarantees that, even in such cases, the partners will be contractually bound (if legally possible) to adhere to the EU’s level of data protection. However, the risk remains that state or private agencies may access the data even when this would not be permissible under European data protection law. Furthermore, your data subject rights in these countries may be weaker or more difficult to enforce, and there may not be an independent supervisory authority to support you in exercising your rights. In such cases, your data will only be transferred with your express permission. These data will not be combined with data from other sources. The basis for data processing is article 6 (1) (b) GDPR, which allows the party responsible to protect its legitimate interests. The server-log-file is saved for 90 days. We will, therefore, process any data you enter into the contact form only with your consent pursuant to Art. 6 (1)(a) GDPR. You may revoke your consent at any time. An informal email making this request is sufficient. The legality of data processed before your request to withdraw consent shall remain unaffected. We will retain the data you provide on the contact form until you request its deletion, revoke your consent for its storage, or the purpose for its storage no longer applies (e.g. after fulfilling your request). Any mandatory statutory provisions, especially those regarding mandatory data retention periods, remain unaffected. You can register on our website for extra services or functions such as subscribing to newsletters, events, or online job applications. We use data you provide for a particular service or function exclusively for that purpose. When registering, you are required to fill in all mandatory fields, otherwise we cannot process your registration. Should we need to announce important changes, e.g. changes in scope of services or technical updates, we will inform you via the email address provided during the registration. Data you provide for the registration are processed based on your consent pursuant to article 6, paragraph 1 of the GDPR. You may, at any time, withdraw consent you have already given by sending us an informal e-mail. The legality of data processed before your request to withdraw consent shall remain unaffected. We save the data collected during the registration for that explicit purpose only. As soon as this explicit processing purpose has been completed or you opt out from a particular service, we delete your data. If there are legally required retention periods, these shall remain unaffected. You can prevent the storage of these cookies by selecting the appropriate settings in your browser. However, please note that doing so may mean you will not be able to enjoy the full functionality of this website. You can also prevent the data generated by cookies about your use of the website (incl. your IP address) from being passed to Google, and the processing of these data by Google, by downloading and installing the browser plugin available at the following link: https://tools.google.com/dlpage/gaoptout?hl=en. If you're logged in to your YouTube account, YouTube allows you to associate your browsing behavior directly with your personal profile. You can prevent this by logging out of your YouTube account. YouTube is used to help make our website appealing. This constitutes a justified interest pursuant to Art. 6 (1) (f) GDPR. Further information about handling user data, can be found in the data protection declaration of YouTube under https://www.google.de/intl/de/policies/privacy. Our website includes plugins from the social network Facebook, which is provided by Facebook Inc., 1 Hacker Way, Menlo Park, California 94025, USA. You can find the Facebook plugins via the Facebook logo or the „like-button" on our website. You can find an overview of the Facebook plugins at: developers.facebook.com/docs/plugins/. When you visit our website, the plugin enables a direct connection between your browser and the Facebook server. This informs Facebook about the IP address you used to visit our website. When you click the “like-button” while logged into your Facebook account, you can link content from our website to your Facebook profile, which allows Facebook match your visit to our website with your Facebook user account. This site uses SSL or TLS encryption for security reasons and for the protection of the transmission of confidential content, such as the inquiries you send to us. You can recognize an encrypted connection in your browser's address line when it changes from "http://" to "https://" and the lock icon is displayed in your browser's address bar. If SSL or TLS encryption is activated, the data you transfer to us cannot be read by third parties.